A middle-aged man, Ibrahim Usman, who operates a telephone charging outfit in Lafia, says he makes N180, 000 monthly from charging telephone using generator and solar power. “I took advantage of the irregular electricity supply in Lafia to make about N180, 000 monthly,” Usman told (NAN) in Lafia on Saturday. According to him, charging phones and other electrical accessories has put food on his table and money in his bank account. “Although, I am not happy that there is irregular electricity supply in Lafia, I can say that has been to my advantage. Had electricity been stable, I would not have been able to make the N6, 000 I make at least in a day. If you multiply it by 30 days, it is N180, 000 in a month,” he said. He said that he powers his business by solar energy to augment his petrol-powered generator which he fuels with N1, 000 daily. Usman appreciated his customers, even as he advised youth not to always wait on the government for jobs. “Instead, youths can create something worthwhile for themselves. 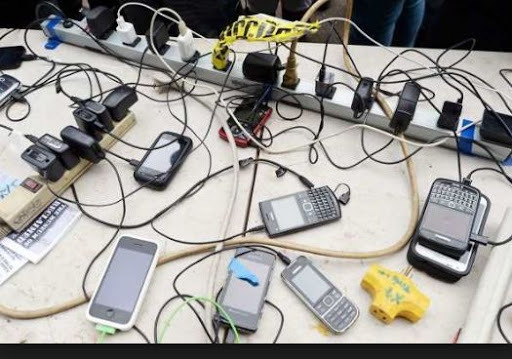 0 Response to "Meet The Man That Makes N180k Monthly From Phone Charging In Lafia"